Forever Reign is one of those songs that took me a couple listens at first but then went and got itself stuck in my head. I first heard this song when it was released by One Sonic Society this past year. 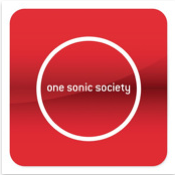 Hillsong also does it, however, I’m finding myself partial to the One Sonic Society arrangement and recording. The cadence and feel of the verses build and lift as a confession of truth and declaration of God’s nature. When the chorus arrives, I find a sense of God welcoming us intimately as we sing and praise His greatness. The bridge becomes a place of speaking devotion to loving and following Jesus alone. The music and lyrical connection are beautiful and moving. For me, it is easy to get lost in this song…in a good way. It’s more than the band playing a cool tune with great melodic hooks and powerful guitar leads. It’s easy to connect to the heart of the lyric and find myself drawn into an encounter with my great and loving God. You can find Forever Reign on iTunes HERE. What’s your take on Forever Reign?